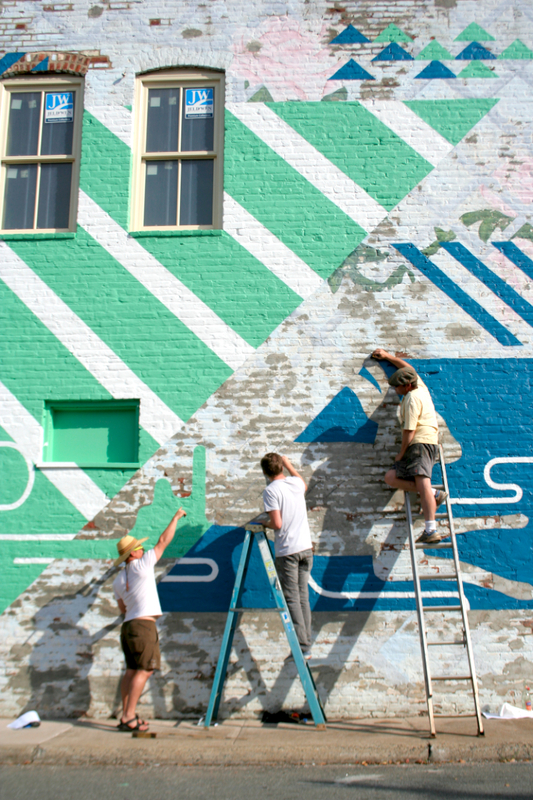 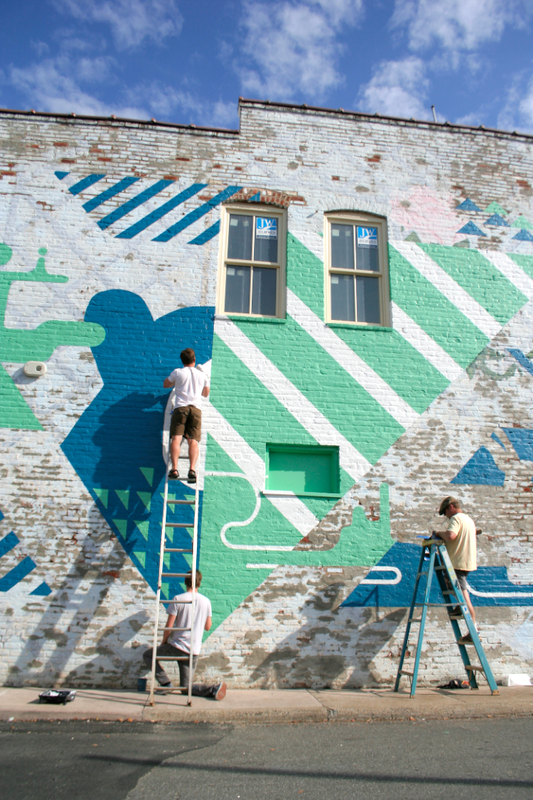 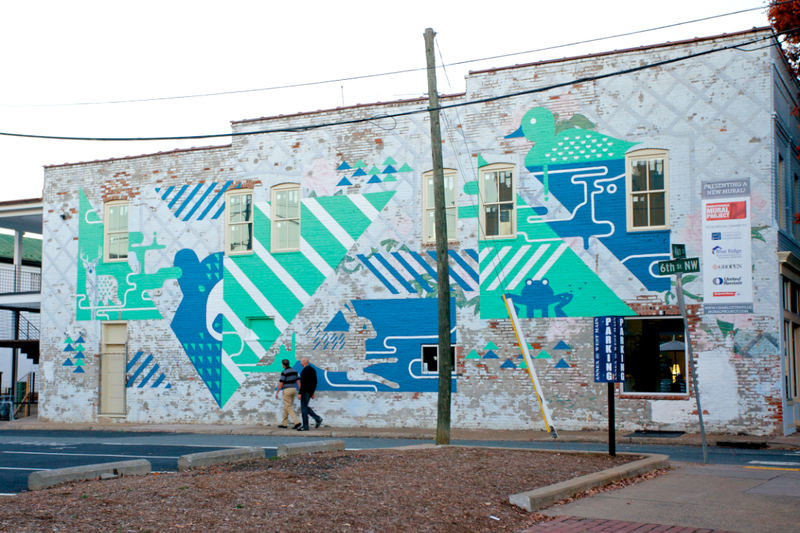 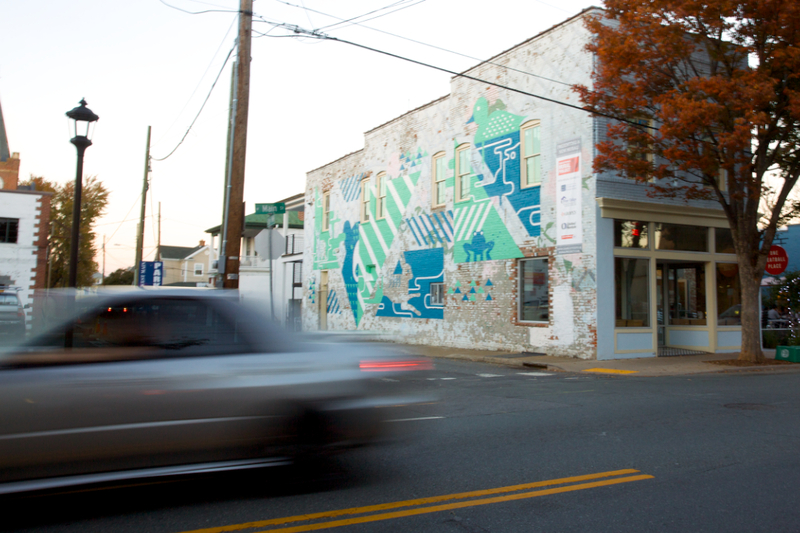 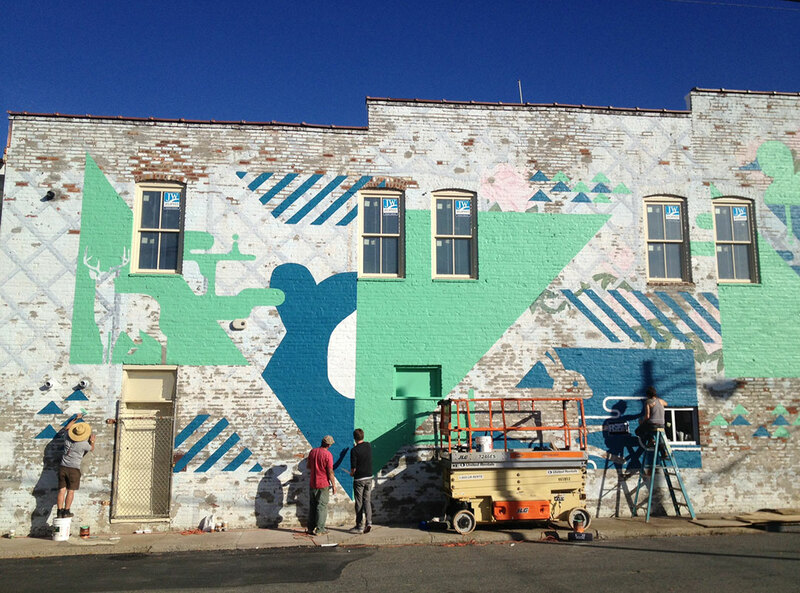 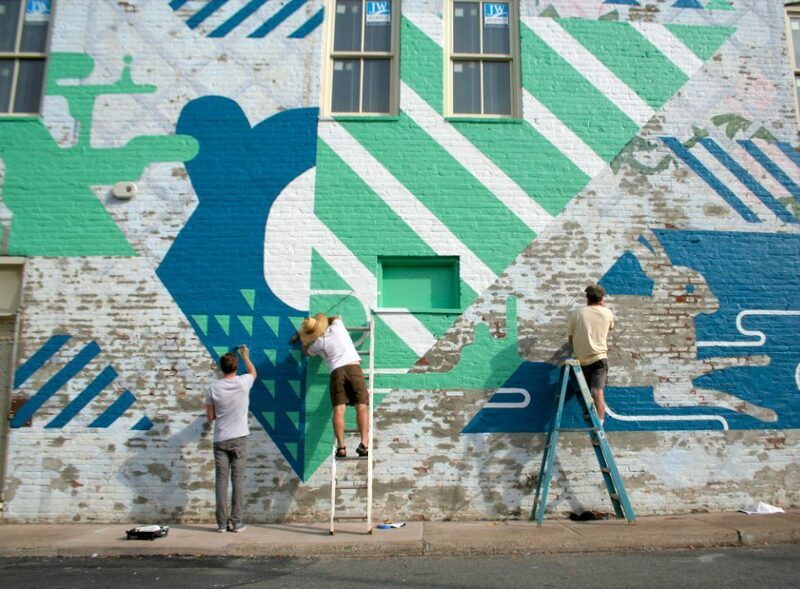 Graphic designer Matt Pamer combined geometric patterns and stylized shapes in shades of mint and ultramarine to create a mural of indigenous Virginia animals (including a rabbit, blackbear, and stag). 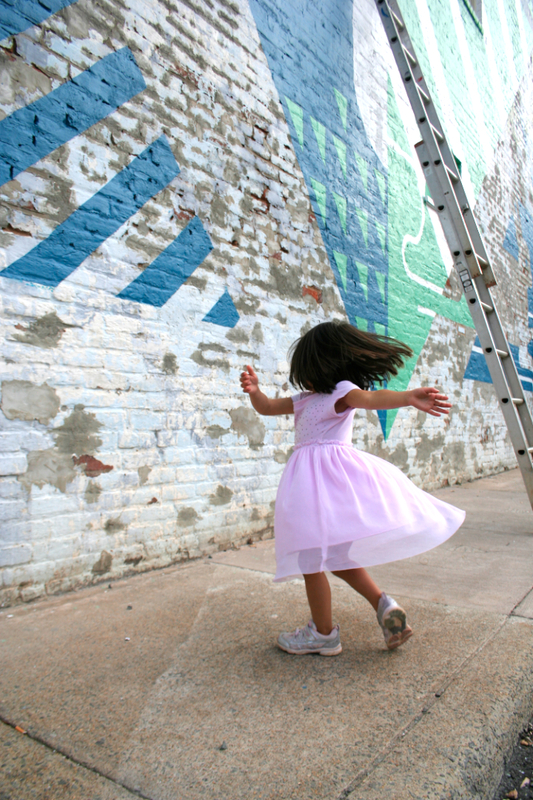 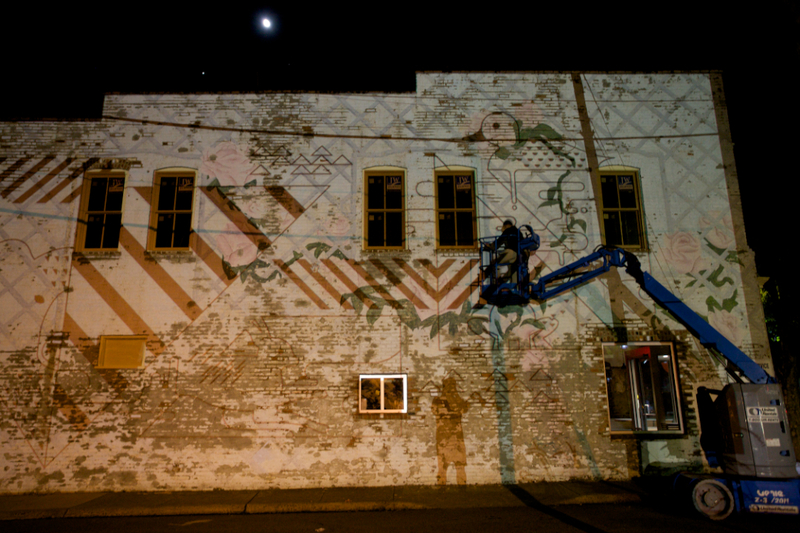 Beneath the mural, the faded traces of roses and latticework painted in the 1970s are still visible. 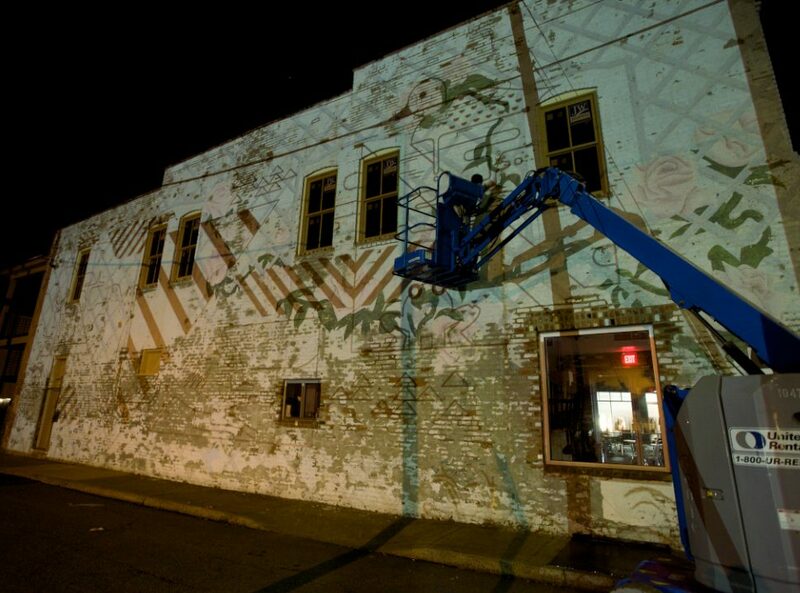 Click here for more of Matt’s work.